In this Guide, you will know how to buy hosting and install WordPress quickly. A lot of possibilities in WordPress. Thousands of free and millions of paid themes to choose from. WordPress is the leading content management services. It gives you more flexibility and customizations. It has almost all kind of plug-in that you may want to use if you desire tweaks. Here we will guide ‘how to start a WordPress blog with minimum efforts and in less time’ with Bluehost and a FREE DOMAIN. First you will need Hosting, where you will install WordPress blog. WordPress.org and I personally recommend Bluehost hosting. Go through the link and sign up. For Bluehost and purchase a hosting plan. If you want cheap hosting use the first link and If you want a dedicated WordPress hosting on Bluehost use the second link. If you would like to get started but don’t have an account you can sign up for one at BlueHost.com. Shared hosting is awesome if you are getting traffic less than 15k/Daily. Bluehost Shared hosting plan is best for you. If you want a Shared Hosting on Bluehost. You’ll get a FREE DOMAIN. Purchase the domain and shared web-hosting go to Bluehost just click › RIGHT HERE ‹ and then click on the “products” tab and then select “WordPress hosting” and Sign up (See Image). Next you will be asked to choose a hosting plan, Choose you best budget plan. After selecting NEW FREE DOMAIN or your old Domain click ‘NEXT’ button. Now you will be asked to fill your information, and choose your hosting plan and make a purchase. After hosting purchase, log into Bluehost dashboard using the credentials. Scroll down and you will find ‘website builders tool’ click on that and choose ‘WordPress’ to install WordPress into your hosting. By next you can start with WordPress installation pop-up. This will take you to the next page where you can make many changes to your WordPress blog. When you click on INSTALL, a next page will open and will ask you to select a domain on which you want to install WordPress. You can use the deop men to choose existing domain which you have in your Bluehost account. Or you can also enter a domain you have elsewhere. Click on Check domain & this is where you can configure final few settings to install WordPress. Now to make WordPress more accurate Fill details like Site name, Select a username and a Password. and do remember all the details, you need them log into your WordPress site and to manage it. Now you need to Click on install now to install WordPress. When you click on INSTALL NOW, it will start installing WordPress. You need to wait on the page while WordPress is installing, Bluehost takes 1 minute to do this. that’s it, now you will get a confirmation email with login URL (Ex. one.quickfever.com/wp-admin) and a message will be displayed like this. That’s it, and now you can move ahead and get started with the other set up. 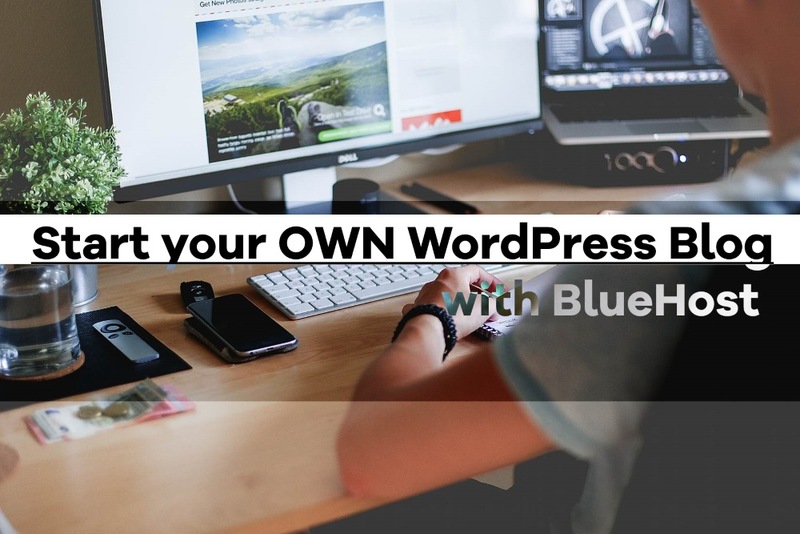 Bonus – Here is a video tutorial that will show you the exact step by step procedure, which you need to install WordPress on Bluehost hosting. Bonus 2 – download WordPress beginner guide pdf. If you purchase Bluehost hosting using the affiliate link, I will get a commission. We only recommend things we use and love.